One Nail To Rule Them All: Guest Post from The Nailasaurus: Let Me See Your Peacock! Guest Post from The Nailasaurus: Let Me See Your Peacock! There’s no doubt that Peacocks are one of nature’s most majestic and beautiful creatures. Those iridescent feathers and that magnificent plume are the perfect inspiration for some nail art. 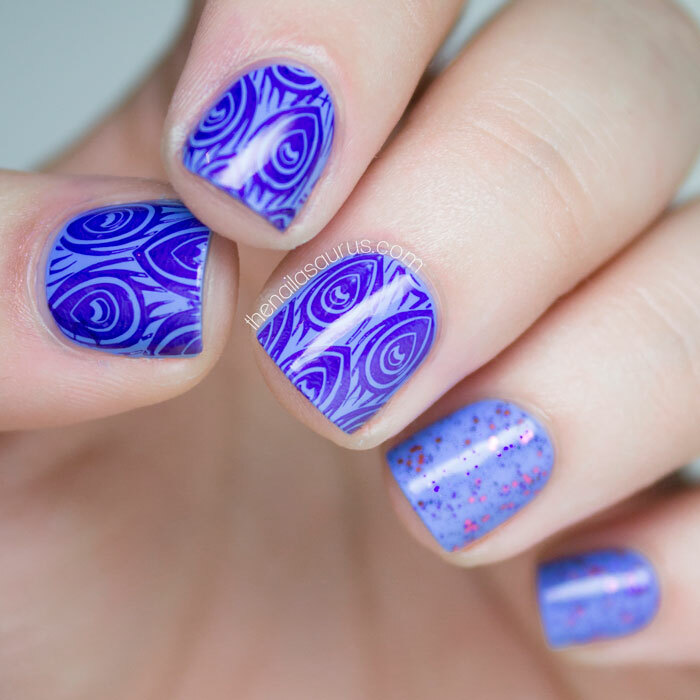 Thanks to a stamping plate, I’ve got the pattern down but found it a bit tricky to mimic the peacock colouring on my nails this time around. I think it’ll take a couple more tries until I’ve got it nailed. For this nail art, I used piCture pOlish Swagger as my base colour and stamped on the feather design using W7 Purple Paradise. 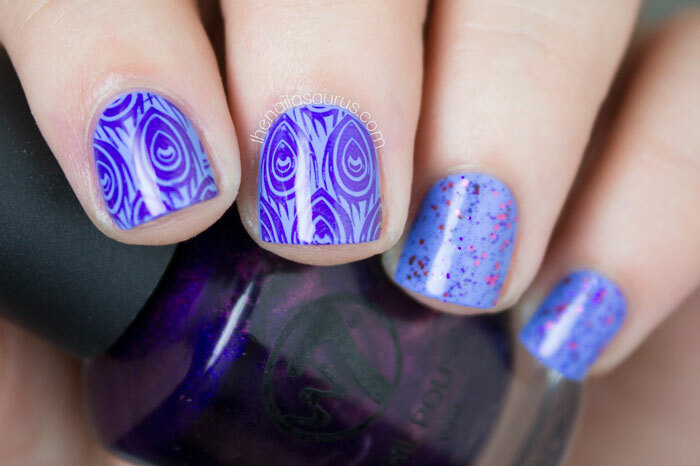 Purple Passion is a metallic purple shade but stamped over Swagger, it looks bright indigo – I like it! The stamping design is from MoYou Stamping Plate Tropical 06. On my ring and pinky fingers, I topped Swagger with Essence Only Purple Matters. It’s all topped off with Glisten & Glow HK Girl. Thankyou again Sammy! I absolutely love these nails and I hope you all do too! Wow, she did a great job!! The peacock design looks amazing! Fantastic manicure as usual. And Sammy was my initial inspiration for blogging too!! :D I'm sure we aren't the only ones!! Awww...that peacock design is sooo amazing. Its nicely and neatly done. Great job indeed!